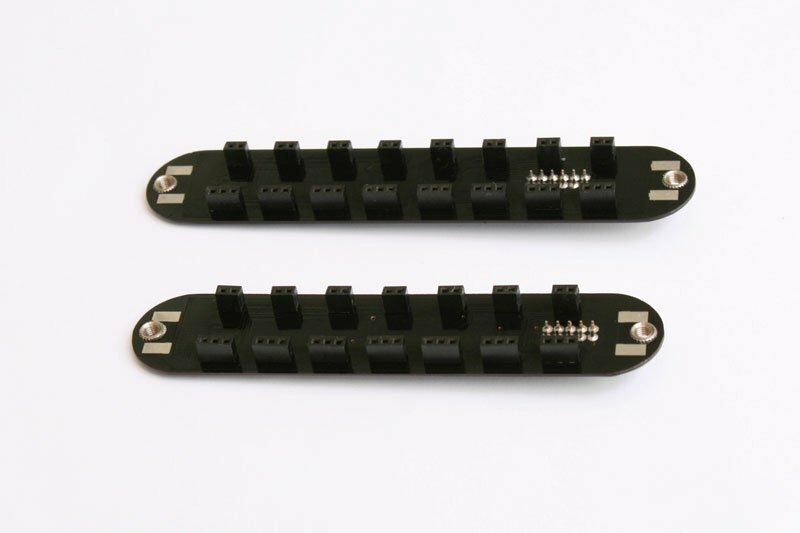 To make it easier for 7 and 8 string extended range guitar users to get started with the Neo Series Active Multichannel Pickups, you can find in this page some design files for Neo7 and Neo8 base boards. The boards include all the necessary components: the D.C. blocking capacitors and the output headers. 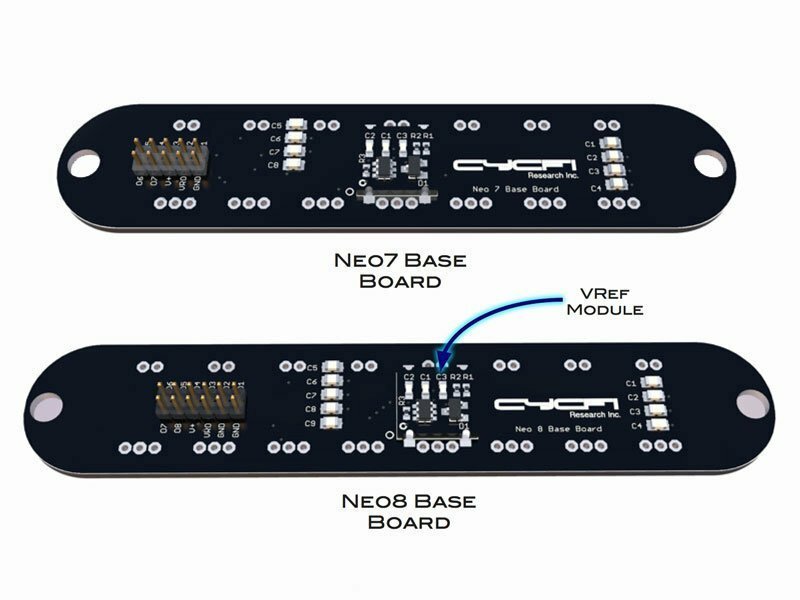 The boards can accommodate a combination of Neo1 and Neo2 pickups including the VRef module. See Neo Series Datasheet and Wiring Options for more information. We do not intend to sell these boards. I provide them here only as service to those who already purchased (or intend to purchase) Neo1 and Neo2 pickups. You can use these files as-is, or modify the layout to suit your particular needs. We use CadSoft EAGLE PCB Design Software for schematics and layout. 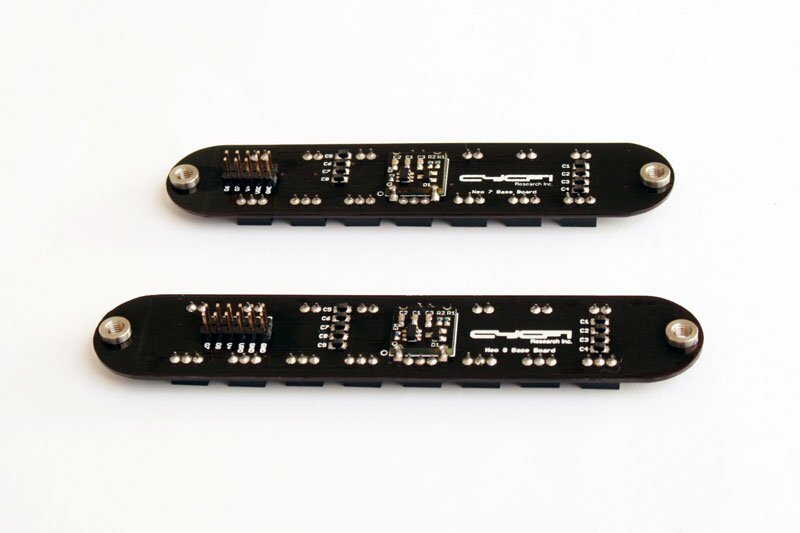 For PCB prototyping and manufacturing, I highly recommend both Elecrow, and Seeed studio for rapid prototyping and PCB services. Both are based in Shenzen China. The prices are very reasonable. For example, a 2 Layer 5 * 5cm Max is just $9.90 for 5 to 10 boards (they always give us 10). The quality is superb. Shenzen is a significant hub for the Open Source Hardware revolution currently taking shape! The turnaround time is just a few days, excluding shipping.